It feels like the Ice Age! 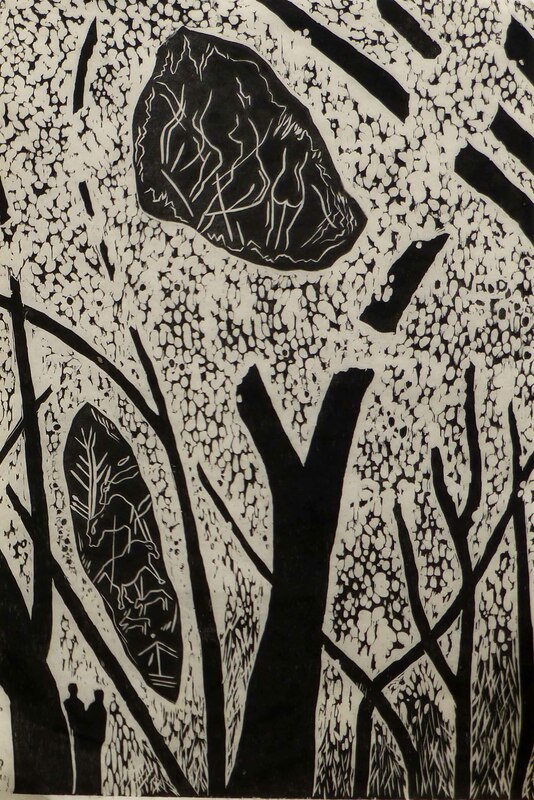 It’s feeling rather appropriate to have an exhibition up that’s called ‘Artists and the Ice Age’. With flurries of snow and an icy wind, I keep thinking that the caves where Ice Age artists worked (in a constant temperature of about 10 degrees) are warmer than our studio/gallery at the moment! 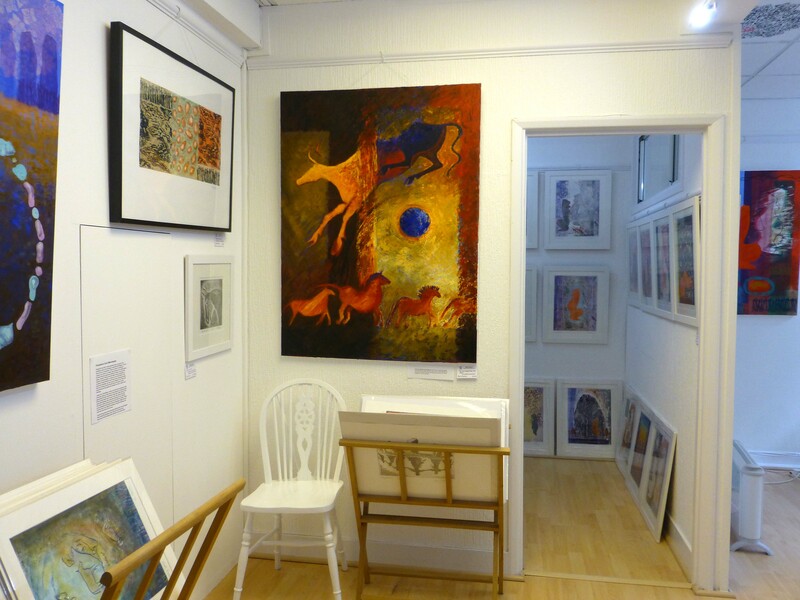 But we will be open this week, Thurs – Sat, 11am – 3pm at 2, Stanford Square, Worthing, BN11 3EZ. There are several of Paul’s large oil paintings in the studio/gallery and he says more about them in his blog (find it on www.martinstudios.co.uk). Many people have been particularly attracted to the one above, ‘The cow jumped over the moon’, for it’s rich colours and happy, playful animals. We used this painting for our Christmas card this year and people are often surprised to see an image full size when they’ve only seen it before as a small photo. 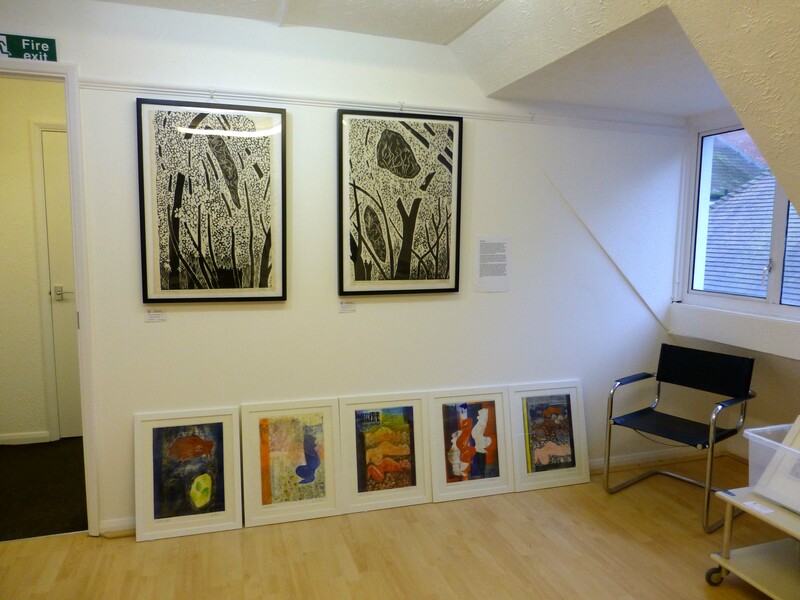 Upstairs there are the first proofs of two of Viv’s larger woodcuts. These link the blossom of trees in spring that cover the hills around the caves with the hidden imagery deep inside the hills. These embody echoes of ancient stories of winter and the rebirth brought by spring, the sense of hidden depths providing shelter – perhaps not only through one season, but for the many thousands of years until the art of our ancestors was rediscovered.